Teeth whitening, which is one of the most popular procedures in cosmetic dentistry today, is a non-invasive procedure that removes stains and discolorations from the surface of your teeth and enhances your smile’s natural beauty. Teeth whitening can whiten your teeth dramatically and restore a more youthful appearance to your smile. Many patients of our Torrance Zoom whitening dentist are seeking whiter, brighter smiles because the effects of time, their diet or certain lifestyle habits have detracted from their appearance. Zoom chair-side whitening is fast, safe and incredibly effective. It combines a powerful bleaching formula with a special light for stunning results and a brilliant white smile. Your teeth may have become stained over time thanks to soft drinks, coffee, tea, wines, medications, smoking and certain foods. Even the simple fact of aging can result in discolored, yellow or gray teeth. If you suffer from stained teeth, our expert for Zoom whitening in Torrance can help you learn more about your options, which may include Zoom. Many different whitening options are available today, including over-the-counter whitening strips, trays and toothpastes. These products may remove mild, superficial stains, but they are rarely able to produce the kind of substantial, safe results of Zoom. Our Torrance Zoom whitening dentist can use Zoom to treat all your teeth in just about an hour, and results are long lasting. 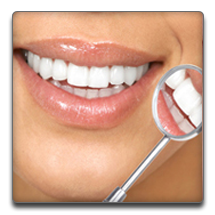 If you are a candidate for Zoom, our expert for Zoom whitening in Torrance will first protect your gums and the soft tissues of your mouth, and then the bleaching formula will be painted onto your teeth. The formula contains 25 percent hydrogen peroxide, which breaks down into stain-fighting oxygen bubbles. Although the formula is powerful on its own, a special light is added to speed and enhance the results, sending the formula deep into the enamel to break up the stains. The structure of your teeth is left healthy, intact and stain-free. You will be able to maximize your results by brushing twice daily, flossing daily and using Zoom touch-up kits as directed. Contact our Torrance cosmetic dentist to learn more or to schedule your consultation.